Powerpoint Daily Devotional from Jack Graham is a popular daily Bible devotion. Powerpoint Daily Devotional from pastor Jack Graham offers wisdom and insight for applying Biblical truths to the ups and downs of everyday life. PowerPoint Ministries is the radio and television broadcast ministry of Dr. Jack Graham in Plano, Texas. Dr. Graham is the pastor of Prestonwood Baptist Church, one of the nation's largest, most dynamic congregations.Reading daily devotions provides strength and encouragement in your daily walk with Jesus Christ. The evidence that Jesus Christ is alive is indeed compelling! What happened two thousand years ago had historical and documentary evidence. Yet many today question the death and resurrection of Christ because they didn’t see it with their own eyes – a burden of proof they almost surely apply to Christian beliefs alone. We have the evidence. Christ died; He was buried; and was seen alive again three days later. To deny that is to deny the most reasonable conclusion of the eyewitness accounts. So stand firm in your faith, knowing that what you believe is as provable as any fact in history. The evidence is on our side! STAND SURE THAT YOUR FAITH IS FACT BECAUSE OF THE OVERWHELMING EVIDENCE OF CHRIST’S DEATH AND RESURRECTION! Revitalize your prayer life in 30 days! 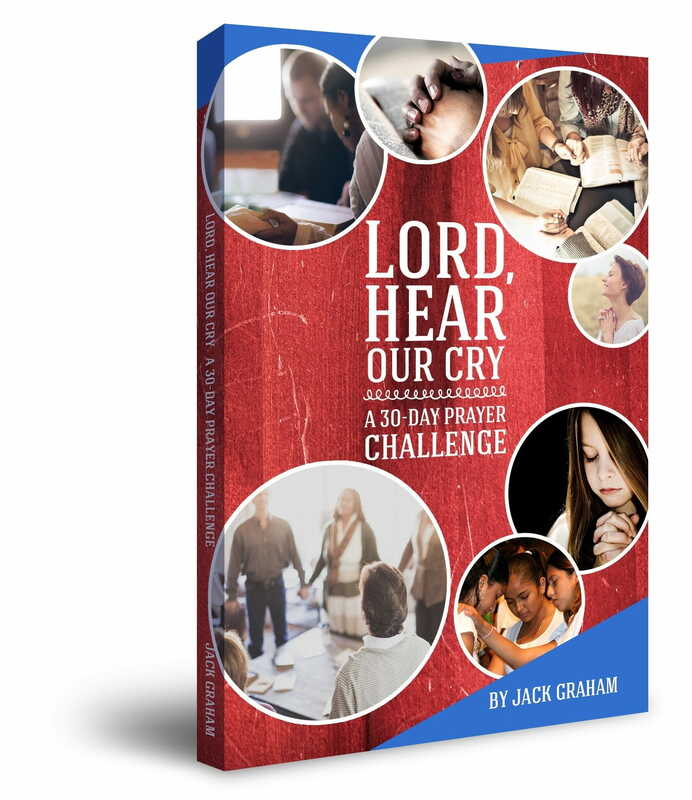 We want to help you Discover how to revitalize your prayer life in 30 days, by sending you Pastor Graham’s book, ‘Lord, Hear Our Cry.’ It’s our gift to thank you for your donation to help proclaim the Gospel ’til the whole world hears.